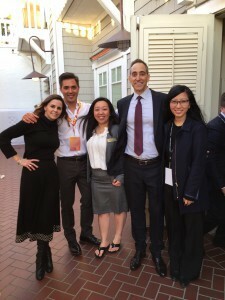 Yesterday was a special day for USC and the Lloyd Greif Center for Entrepreneurial Studies, as it held its first full-day tech conference at Shutters in Santa Monica. It was also a special day for me. You see, when I was 14 years old I confidently announced to my parents that I would be heading West for college to study entrepreneurship at the University of Southern California. My announcement caught my parents off-guard because: 1) in Indiana, my hometown, the expectation is that you go to IU, and 2) studying entrepreneurship was not commonplace at that time. It was my sophomore year and I had gotten my hands on the college rankings edition of U.S. News and World Report. I was fascinated by a lengthy spread that discussed a new type of business track, called “entrepreneurial studies,” that was only offered at two schools — Babson and The University of Southern California. A family trip up the California coast as a child had sparked a love affair with the West Coast so USC became my #1 target. And a campus visit with my Dad (a Notre Dame football fan who was not thrilled to be on enemy grounds) sealed the deal. Cut to almost exactly 20 years later (yikes and shhhhh!) and I consider my decision to go to USC to study entrepreneurship the most important and impactful decision of my life to date. I have spent my entire career working with entrepreneurs in the early stage tech space. Having held just about every role (operator, consultant, advisor, investor, coach), I truly could’t imagine doing anything else. And as a bonus, I get to co-teach one of the entrepreneurship classes I took two decades ago. This past year, working on the SCale event, has been surreal and also an incredible honor. With only a small team of amazing Trojans, we pulled off a tremendous day of content and community that perfectly highlighted both the university and the city I love. SCale covered entertainment, digital media, gaming, esports, AR/VR, and more. We were fortunate enough to get Bob Iger (Disney), Sarah Harden (Otter Media), Adam Cheyer (Siri, Viv), and Brandon Beck (Riot Games) to join us — to name just a few of the amazing folks we had on stage. And Eric Garcetti, the most tech-forward Mayor in the country, also stopped by. It was truly surreal to have it all come together so wonderfully. Thanks to all the amazing founders, investors, techies and media & entertainment folks who spent the day with us. Yesterday was no doubt the kickoff of what will be an amazing yearly event. 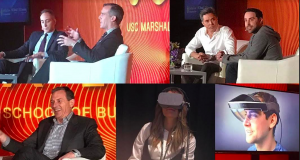 USC, with its world-class schools (business, engineering, film, gaming and beyond), has a tremendous impact on the talent and innovation here in Los Angeles. I am both #LongUSC and #LongLA. I cannot wait to see what the next 20 years brings. PSS — Thanks, as always, to my mom & dad for always supporting me. Musings on Startups, Founders & Fundraising, Diversity, Equality & Inclusion, and Personal & Leadership Development from a 20-year tech startup veteran.